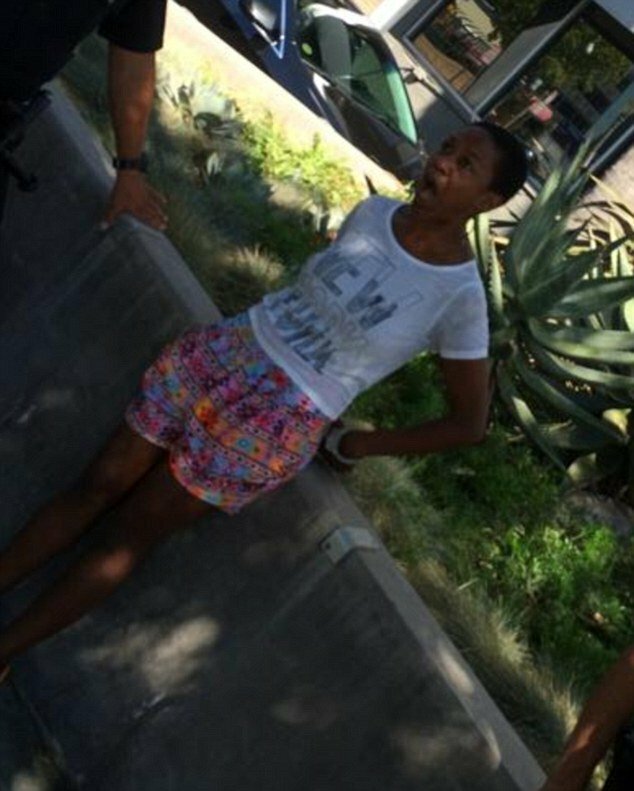 LAPD is conducting an internal investigation over accusations officers violated Daniele Watts’ rights by handcuffing and detaining her. The Django Unchained actress refused to show identification and walked away from officers responding to a report of lewd conduct. Daniele Watts posted a photo showing her in tears with her hands behind her back. Her boyfriend, chef Brian James Lucas, was not placed in handcuffs. In a statement released over the weekend, LAPD said its officers had responded to a report from a passer-by that a couple was indecently exposed inside a silver Mercedes. In an interview with CNN on September 15, Daniele Watts said she and Brian James Lucas had been “making out” in the car, were fully clothed and that nothing improper had been taking place. In audio footage of the encounter obtained by the TMZ, Daniele Watts appears to allege the police were called because she was black and her boyfriend was white. The officer is then heard questioning why she had played “the race card” and insisting he had the authority to request she provide identification. An LAPD spokesman said US citizens are required to identify themselves if requested to do so by an officer who has reasonable suspicion to believe an offence may have been committed. Daniele Watts played a supporting role in Quentin Tarantino’s 2012 Django Unchained and had a recurring role in the TV series Weeds. “I can understand how people would say that I’m being a drama queen,” Daniele Watts was quoted as saying by the Associated Press.